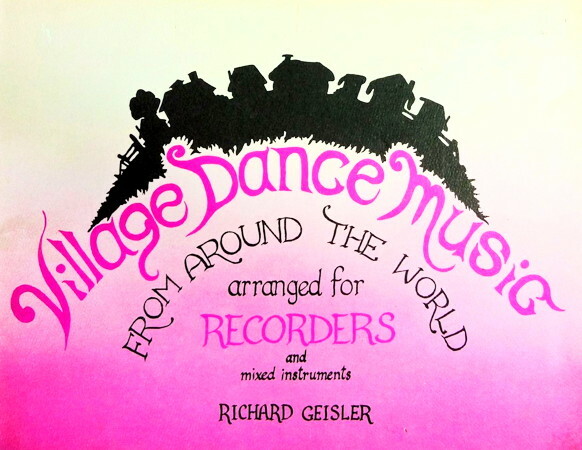 Information: Richard Geisler, musician for recreational international folk dance and transcriber of music. Richard Geisler's sheet music (and dance description) collections are available online at Lark in the Morning. These collections come with eye-catching title pages in cover stock of attractive colors. The collections include a Foreword that presents information and a general description of the music contents; Use of instrumentation, vocals and orchestration; care and use of the music for practice and performance; other collections available; sources of information about folk dance, records, tapes and periodicals; an ethnographic/cultural listing of the music; and an alphabetic listing with pagination. In addition to this, the Bulgarian and Yugoslav Collections and Balkanalia include maps to locate places of origin of the dances. Also, a pronunciation guide to the Serbo-Croat-Bulgarian languages is provided. The collections are attractive, artistic and scholarly. They offer unique music and are thorough in their presentation of sources and information of interest. The individual sheet of music contains all the information necessary for playing the tune: metronomic marking for tempos, chords and rhythms for chording and drumming, key changes, play patterns, lyrics in translation. and transliteration, harmony and rhythm parts. Instrumentation and orchestration are noted or suggested for many tunes. Unusual or interesting bass lines are written out. The transcriptions are scores. They are being used by folk musicians and bands across the country: Allspice Folk Dance Band (Seattle), Boulder Hat Band (Boulder), Ellis Island Tradition (Albuquerque), Pleasant Peasant Band (Honolulu), Brown Bag Band (Ann Arbor), and many more.